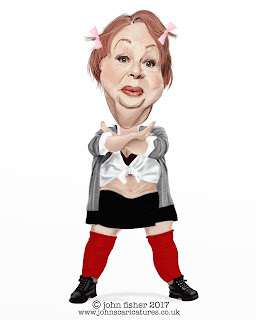 The Art of John Fisher: Jo Brand..
Josephine Grace Brand is an English comedian, writer and actress. Starting her entertainment career with a move from psychiatric nursing to the alternative comedy stand-up scene. In 2009 she did Britney Spears for Comic relief...this is an 2017update !!!! !